Hey, I’m in need of models to build my Makeup artist portfolio as I’m just starting out as a makeup artist. Must be London OR Northampton based or willing to travel, and must be free during the week. 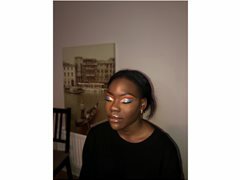 I will do your makeup free of charge and provide all pictures taken after editing them. All skin tones and types are welcome.